This isn’t startling news. 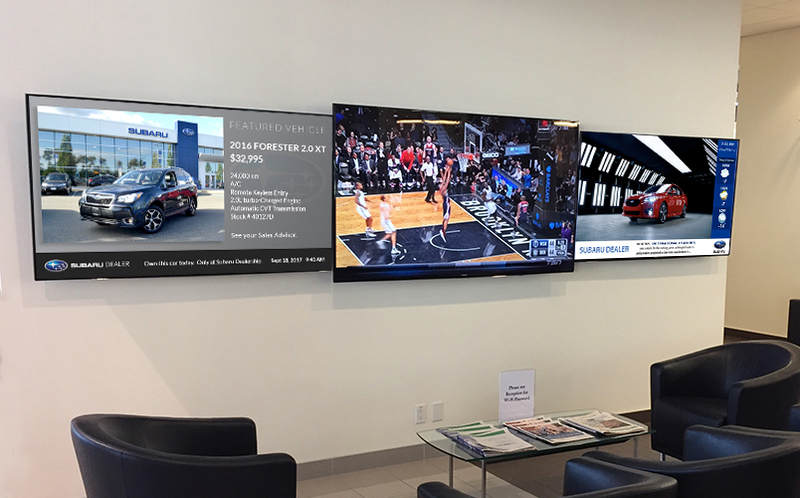 Dealerships have been incorporating digital signage in their dealerships for some time now. Frankly, if your dealership is still using traditional POP and posters, it’s definitely time to make the switch. Changing to digital signage means creating new interactive experiences and engaging your target audiences in a more flexible and cost-effective way. and the immediacy and flexibility — your new content can be running instantly, and you can change as often or when you need. The future of advertising is definitely the digital format. Digital signage attracts your customers’ attention and allows for more effective interaction and heightened customer service experiences. Take for instance your customers waiting at your Service Counter to check in their vehicle for service. Did you know in a recent study it was found that 84% of customers who were in a line up waiting for service agreed that watching content on digital screens decreased the perception of waiting time? Additionally, 70% of those customers said that the content was definitely useful. Have you ever been in a Tim Horton’s line up to buy your daily coffee, and you look up and see the new ‘featured’ donut of the day? Chances are you’ll be ordering it, or at least thinking about it! Imagine your current Service Promotions being displayed in front of your customer’s eyes as they wait to be checked in. Maybe they were there for an oil change, and then they see a special on wiper blades and they remember they meant to replace those. Talk about perfect timing! The key to effective digital signage lies in the 3 Cs: concept, content and creation. 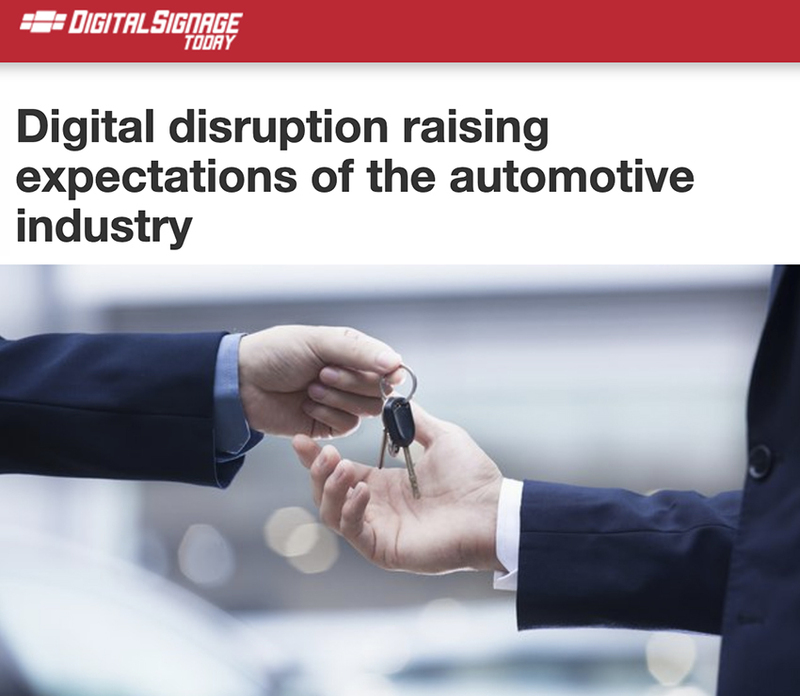 Most dealerships don’t have the ability, time or budget to produce high-end, quality digital content that is on brand and consistent and cohesive. At VenueVision, we produce HD quality content that is specifically customized and created for your manufacturer, adhering to your products and brand standards. We have the concepts, we have the creative team and we have current content. You won’t have irrelevant, generic automotive content displaying on your screens. Your content is refreshed regularly and will always reflect current promotions, seasons and manufacturer news. We will create and manage your digital strategy for you, using your brand, driving higher ROI and significantly increasing customer retention. VenueVision has been in the automotive digital signage industry for 18 years, so we have an in depth understanding of the industry and how it works. We are a provider of quality digital content and automotive solutions to almost 400 dealerships across Canada and North America. One major element that makes us unique is our DMS integration. We have unique, custom-designed dashboards that can display dynamic content such as: Service Appointments, Service Repair Status, Service Pricing Menu boards and Featured Vehicles, all data pulled in real-time from your DMS for the ultimate in Customer Service Experience and Engagement. It’s time to tear down those old posters and go green — VenueVision green. We can work with you on developing your new digital strategy.